Ari Monkarsh, a business expert, shares his thoughts, opinions and guidance on how to develop yourself as a professional, and your business. Whether doing something small like donating time or money, or something larger like managing a charitable event or organization, most generous people pick causes that are personally relevant to them. For those who love athletics, exercise, or other physical activity, it might seem difficult to tie that kind of passion into philanthropy. 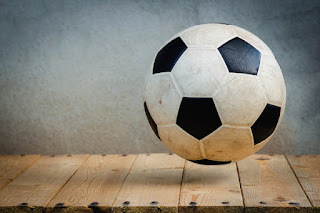 However, there are actually many ways that sports can be used in philanthropy.According to Greatist, many sports-centered charities are having great success improving the world for the better. Here a few highlights of these charities that you could get involved with and make a difference. For example, Right to Play demonstrates how well-known athletes can serve as excellent partners in philanthropy. The organization leverages exercise and competition to empower children who come from challenging backgrounds. Right to Play supporters believe that providing athletic opportunities to children in difficult circumstances helps them develop important mindsets and skills. More than 300 athletes from over 40 countries serve as ambassadors for the organization. Right to Play is a great organization that’s sincerely making a difference. Meanwhile, both Challenged Athletes and Adaptive Sports Access for Wounded Warriors demonstrate ways that sports can provide opportunities to disabled people. Challenged Athletes focuses its philanthropic efforts on anybody with physical challenges, including those who have suffered traumatic injuries such as military veterans. Adaptive Sports for Wounded Warriors focuses explicitly on former members of the armed services. Both organizations seek to provide goods and services to injured people to ensure that they can improve their lives through athletics. One ambitious charity called PeacePlayers International teaches how to leverage sports as a way resolve major conflicts. The organization focuses its work on places where there is considerable turmoil of varying types. For example, PeacePlayers International conducts work in the Middle East and in Northern Ireland, but also in American urban centers such as Detroit, Chicago, and New Orleans. Project Fit America is another excellent example of a philanthropic outfit that uses sports for the greater good. It does so by providing to schools with indoor and outdoor fitness equipment, lesson plans, curriculum, and training to ensure that children in underserved communities have access to education related to fitness to ensure their physical and mental health. These are just a few examples of how sports can be used for philanthropy. These types of organizations can help inspire others to start similar ones, but they all also gladly accept donations and support. To find more about other similar causes, visit Sports Charities USA.